Chloe SheppardCourtesy of What Does Our Future Hold? Amid political turmoil and the increasing discord of 2016, alternative ways of delving into what the future has in store have inevitably gained momentum. Along with astrologers pointing to planets in retrograde to explain the year’s catastrophes, tarot – a tool for gathering with friends to divine what may happen next – has emerged as a popular choice for determining a positive path for navigating what may lie ahead. With a hazy history and uncertain origins, the cards hit Europe in the 15th century, becoming the most popular card game in Europe by the 1700s. However, though tarot’s use for entertainment and divination is far-flung – its cards coming in many forms across cultures – what most decks fail to provide is diversity. The centuries-old tradition, originally confined to people rich enough to afford handpainted cards, has remained glaringly restricted in the figures it depicts. 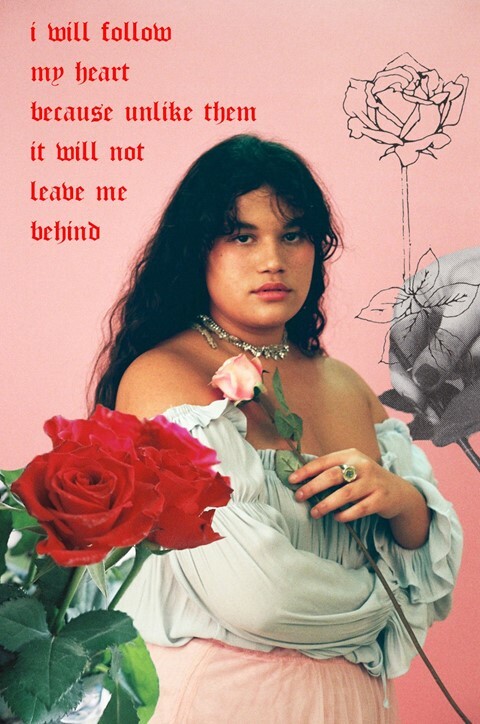 Dream Wife musician Isabella Podpadec called on Polyester zine’s founding editor-in-chief Ione Gamble, along with Laurence Philomene and Liv Thurley from art collective The Coven, to set about diversifying the deck. 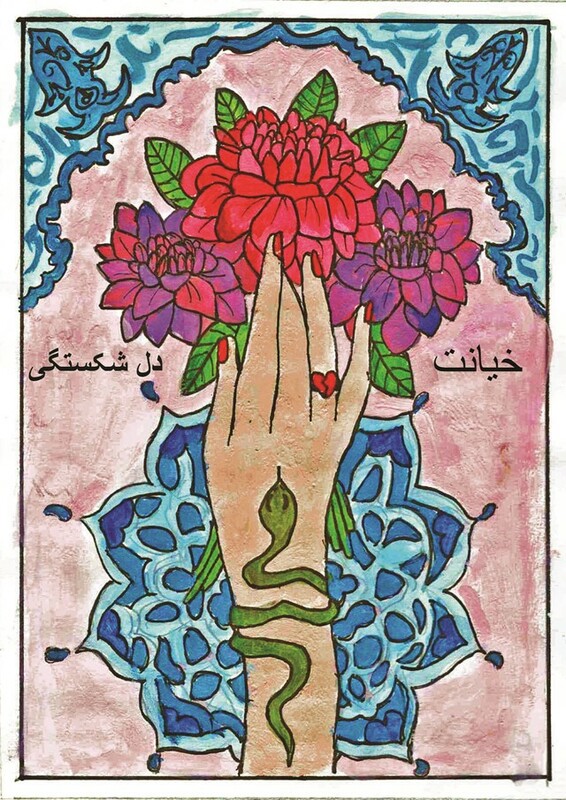 Between them they enlisted over 50 artists to reimagine the tarot designs. With the call sheet of artists involved spanning photographers, illustrators, and online artists, the new deck shatters every narrow tarot tradition.The result: photographs, oil pastel illustrations, even knitted designs, collectively forming a tarot deck and accompanying exhibition entitled What Does Our Future Hold?. This new diversified deck is set to go on display on 7 January at Hackney Wick’s Dye House, with limited edition riso prints of the cards on sale at the exhibition (and here). Delving further into the realms of tarot, collaboration and divination, we spoke to Gamble, Philomene and Thurley. Sahar GilaniCourtesy of What Does Our Future Hold? Why did you decide on a tarot deck as the medium for the show? Laurence Philomene: I liked the idea of creating a physical object, plus it gave an opportunity for us to show all new work by some of our favourite artists. I grew up with tarot readings, so it felt like a very personal thing for me as well. Ione Gamble: Isabella approached me earlier this year as a keen practitioner of tarot disappointed with the lack of diversity she found within the deck. We then both thought the best way to tackle that would be to invite as many of our favourite artists as possible to contribute their own cards and interpretations of the medium. Tarot seems to be something we've all become more interested in over the past year or so, perhaps due to how turbulent 2016 was in a wider political sense, so it also acts as a wider comment on how uncertain all our futures are and how using certain coping mechanisms can help ease a sense of unknowing. Liv Thurley: I love the idea that you can visit the exhibition and leave with some physical art that features 50+ artists from around the world. Laurence Philomene: All new artwork! We’ll have newspaper prints, limited edition of 50 decks, spooky cocktails, fun times, and a bunch of the international artists will be present as well. Liv Thurley: Laurence has pretty much hit the nail on the head! Each deck is limited edition and therefore numbered and comes in its own small bag! Each card has been riso printed with various layers so they are handcrafted with love. How did you brief the artists to create the cards? Ione Gamble: We each reached out to roughly 15-20 artists with the idea and our reasoning for wanting to create the alternative tarot deck. We wanted to create a group exhibition with a clear purpose as well as a tarot deck that could be used by people in their day-to-day lives. We also made the decision to restrict the colour palette to purple, blue, red and black to create continuity throughout the works. Aside from that we just prepped everyone on the mundane technicalities of printing using risograph! What do you think it is about tarot reading that people find comfort in? Laurence Philomene: It’s something that can be very grounding when you’re facing uncertainties, as so many of us are right now. Ione Gamble: I think everyone can take comfort in something telling them how things are going to pan out, no matter how unreliable that tool may be. Liv Thurley: I find physical objects provide comfort at times of ambiguity, that’s why I make art. There’s an element of connection and friendship to tarot, how does that come across in the cards that feature in the exhibition? Ione Gamble: In the most straightforward sense, both Polyester and The Coven are about representing marginalised communities, so the exhibition was definitely curated with that in mind. 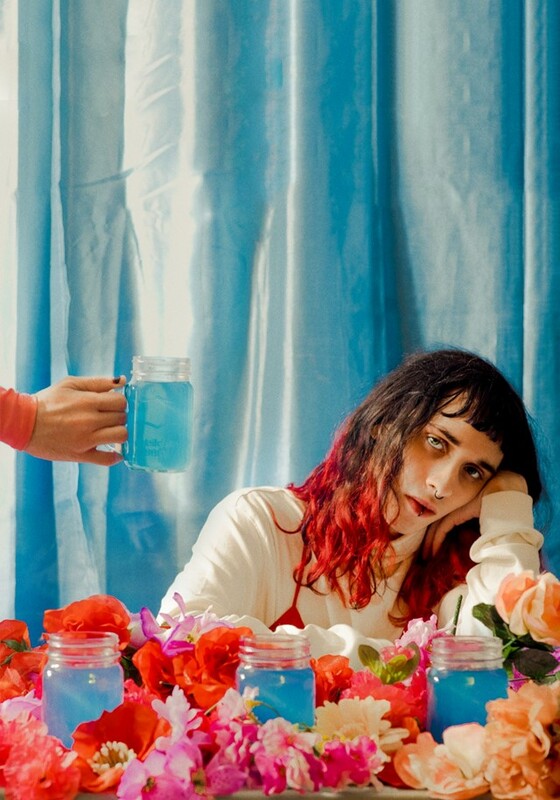 I've worked with The Coven before on a couple of projects for Polyester and have been working with Isabella and her band Dream Wife for the past couple of years now. I suppose the exhibition and deck and can also be viewed as a physical manifestation of the URL community (which) many of the artists involved with What Does Our Future Hold? have been apart of for a long time. Laurence Philomene: Friendship is at the heart of everything I do. I have a lot of love for everyone who’s taken part in this project, I think that love shows in how much time and effort everyone put into their individual cards as well. Liv Thurley: I hope that it will introduce some of the artists who are unfamiliar with other names in the show to learn about each other! Or even if the viewers come along and really like a piece perhaps they’ll look them up and create a connection, whether it be online or IRL. What do you hope that the future holds? Ione Gamble: I hope the future sees us find more ways as communities to actively push against the oppressive regimes enacted by our governments. I hope we can find tactics to support each other and thrive creatively while pushing outside of our echo chambers to work towards a better world in a wider sense. Laurence Philomene: What Ione said. Less racism, less transphobia. Plus some snacks. Liv Thurley: A lot less ignorance and for people to be more willing to educate themselves and help others around them. Hobbes GinsbergCourtesy of What Does Our Future Hold?